This case makes up to 192 usable gallons. 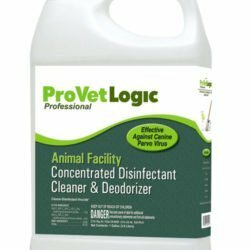 ProVetLogic Animal Facility Animal Disinfectant Cleaner provides over 50 infectious agent kill claims including Canine Parovirus, Kennel Cough, Canine Influenza, Canine Distemper, Feline Calicivirus, Feline Panleukopenia, MRSA, Ringworm, Salmonella, E-Coli, Avian Influenza, and more. 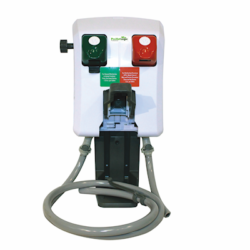 This product makes up to 128 usable gallons. 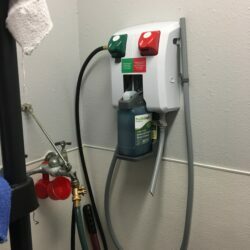 The ProVetLogic Animal Facility Animal Disinfectant provides over 50 infectious agent kill claims including MRSA, Ringworm, Salmonella, E-Coli, Avian Influenza, Canine Parvovirus, Kennel Cough, Canine Adenovirus, Canine Coronavirus, Canine Distemper, Canine Parainfluenza Virus, Canine Hepatitis, Infectious Bronchititis Virus, Rabie Virus, Feline Calicivirus(surrogate for Norwalk/Norovirus), Feline infectious Peritonitis, Feline Leukemia Virus, Feline Panleukopenia, Feline Picornavirus, Feline Rhinotracheitis. See Full Efficacy Data on file at www.provetlogic.com. 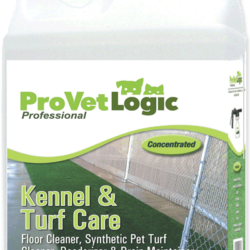 Kennel & Turf Care Floor Cleaner, Synthetic Pet Turf Cleaner, Deodorizer and Drain Maintainer effectively removes stains and soils from kennel floors and other porous surfaces i.e. grout, tile, wooden fences, front desks where dogs mark. This case of (6) 32-ounce precision pour(built in measuring cup) bottles makes up to 96 usable gallons (Note: V02 dilutes 2 ounces per gallon of water). These small size bottles are great if storage in your facility is limited. 1/2 oz and 1 oz measuring cup allows for accurate dilution and helps avoid waste. 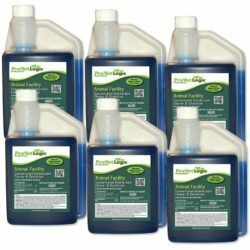 Veterinarians and animal shelters: Use 1-2 x weekly on floors & runs to reduce bio-film build-up and helps your disinfectant be more effective. 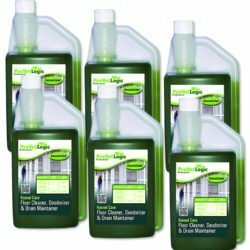 Pet resorts, hotels, kennels(well-boarding): Use as your daily cleaner in runs/suites/rooms and your disinfectant for exit/check-out cleaning.